Invisalign's® nearly invisible, removable, and comfortable aligners will give you the beautiful straight teeth you've always wanted. Best of all, few people can tell you're wearing them. Doctors can treat a vast majority of patients with fully-erupted molars. This commonly occurs between the ages of twelve and fourteen. 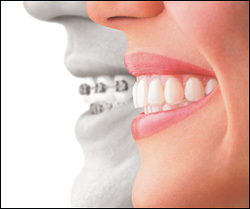 Invisalign® has been proven effective in practices nationwide. Total treatment time averages about one year and the average number of aligners will vary from case to case.